Stop the Corporate Carve-up of Africa! The Mining on Top Africa London Summit says it aims to drive economic and social development in Africa. Yet there is a total absence of direct representatives from affected African communities at the conference. The main speakers, and intended participants, are almost exclusively from government or industry. This isn’t development. This a corporate carve-up, that is encouraged by our own Government. Join Divest London, The London Mining Network, The Gaia Foundation and War on Want for a fun, creative a(u)ction dramatising the UK Government’s role in facilitating exploitative mining in Africa. Everyone will have a part to play, so come ready to shout for those whose voices have been silenced. Our organisations are part of networks and movements who express concern over the benefits that extractive industries can bring to developing countries. 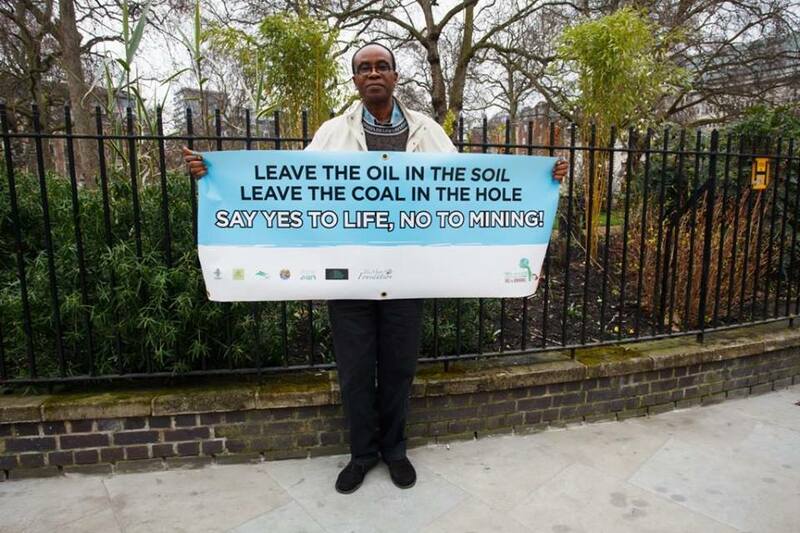 Local communities are the ones who are most affected by extractive industries in Africa. But where are the voices of affected African communities and civil society in this discussion? Mining may indeed be ‘on top’ in Africa, but it is not clear yet how Africa – as opposed to large-scale miners and elites – are benefiting from this. To exclude community voices strips this event of all legitimacy. It is all the more unjustifiable for UK government agencies- such as DfiD- to be involved in the summit when they are meant to be promoting inclusive development. Join us on Thursday 25 June to ask ‘Mining on Top’ where the representatives from these communities are!